You are being re-directed to our SilverSneakers merchandise website, operated by our partner Taylor Communications. If you'd rather stay on SilverSneakers.com and not visit the store, select cancel. Get your blood flowing with these basic but powerful moves. It’s easy to take blood flow for granted. After all, you probably didn’t give it much thought most of your life—blood simply went where it needed to go. And then suddenly your feet were always cold, you started feeling numbness or tingling in your legs, or maybe your doctor even brought up peripheral artery disease (PAD). 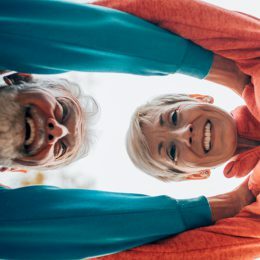 “Older age significantly increases the risk of having poor circulation,” says Victoria Shin, M.D., a cardiologist at Torrance Memorial Medical Center in California. 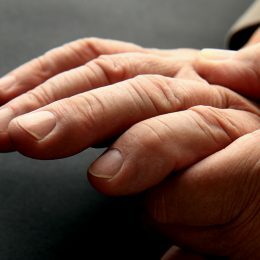 While those blockages prove unhealthy for the heart and brain—increasing your risk of heart attack and stroke—they also cut off blood, oxygen, and nutrient delivery to the muscles and nerves throughout your extremities, says Ann Phelps, D.P.T., a physical therapist at Athletico Physical Therapy in Chicago. PAD often has no symptoms, but the most common are muscle cramps, numbness, or heaviness in the legs and feet, especially during movement. This is why, in one study from Northwestern University Feinberg School of Medicine, people with mild PAD were three times more likely to become unable to walk one-quarter of a mile or walk up one flight of stairs without assistance compared to those without the condition. These symptoms tend to intensify during exercise. “It’s a problem of supply and demand,” says Dr. Shin, explaining that poor circulation comes down to a lack of blood supply. When your muscles increase their demand for blood by working hard, you really feel the shortage. As always, if you are experiencing chronic pain or other symptoms, check with your doctor for a proper diagnosis. Even if you don’t have symptoms, it’s smart to talk to your doctor about your cardiovascular health—that includes your heart and the blood vessels throughout your body—during regular checkups. Follow any instructions your doctor gives you, including for safe exercise. The great news is exercise can help prevent and treat PAD. 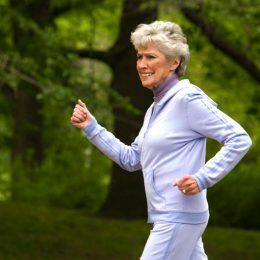 “Several studies have shown that exercise therapy should be the first line of treatment for peripheral artery disease—even before angioplasty or stenting,” Dr. Shin says. So what are the best exercises to get your blood flowing? Here, we share a combination of cardio and strength training options. You can perform them together, or pick your favorites to sprinkle throughout your regular exercise plan. Studies consistently show that supervised walking programs improve symptoms and quality of life in patients with PAD. And according to Dr. Shin, walking is the best form of cardio for PAD—even more effective than cycling or stair climbing. Try it: If you’re not able to take part in a supervised PAD program or study, you can still walk for better circulation. Walk on a treadmill at a speed and incline that causes you to have some leg pain within three to five minutes, Dr. Shin says. Stop and rest. Once the pain has resolved, resume walking until you feel it again. Repeat this cycle of exercise and rest for at least 30 minutes. Over time, increase your walking speed, incline, and duration. Don’t have a treadmill at home? With SilverSneakers, you get free access to gyms and fitness classes nationwide. Check your eligibility here, or find a location near you here. Water workouts are ideal for people whose PAD has progressed to the point that they’re unable to walk, for people who have diabetes-related neuropathy, or for people with osteoarthritis that limits the amount of impact they can safely apply to their joints, Phelps says. Try it: You can walk in the water or swim laps. You can also take a water exercise class, such as SilverSneakers Splash. Make sure that you feel comfortable and confident in the water, and don’t shy away from using or wearing a flotation device if needed. As with walking, you should rest when any pain strikes. If you’re taking a class, let the instructor know about any conditions or injuries. Need more inspiration? Check out the health benefits of water-based exercise. It's quick and easy. You could be one of the 13 million people who are eligible. Already a member? Click to discover our 13,000 participating locations. The legs are the most common body part to suffer from the effects of PAD, Dr. Shin says. Fortunately, this foundational exercise works the largest muscles in your lower body to encourage improved circulation to the legs. Plus, squats are practical, having huge carryover to daily tasks such as getting down and up from your favorite chair. Try it: Stand tall with your feet shoulder- to hip-width apart. Hold your arms straight out in front of you at shoulder level, and brace your core. This is your starting position. From here, push your hips back and bend your knees to lower your body into a squat, not letting your knees cave in as you do so. Pause, then push through your heels to return to starting position. That’s one rep. Perform 10 to 12 reps, or as many as you can until you feel it in your legs, then rest. Repeat for a total of three sets. If you’re not able to do a regular squat with good form, start from a seated position. Learn how to make the squat easier (or harder) for your needs in this guide. Working the largest muscles in your upper body, this simple, functional move does a lot to boost blood flow while also strengthening your core for total-body stability when walking and climbing stairs, Phelps says. Try it: Loop a resistance band around a stable pole or hook at navel height. Holding one end in each hand, stand or sit facing the anchor point so that the band is tight and your arms are outstretched in front of you. This is your starting position. From here, squeeze your shoulder blades back and together, and pull your elbows behind your torso to row the ends of the band to your sides. Pause, then slowly reverse the movement to return to starting position. That’s one rep. Perform 10 to 12 reps, or as many as you can until you feel it in your back and arms, then rest. Repeat for a total of three sets. No pole to loop around? Try a variation in a chair with your legs extended in front of you, and loop the band around the bottoms of your feet. See a demonstration of Exercise 5 in the video below. * Participating locations ("PL") not owned or operated by Tivity Health, Inc. or its affiliates. Use of PL facilities and amenities limited to terms and conditions of PL basic membership. Facilities and amenities vary by PL. † Membership includes SilverSneakers instructor-led group fitness classes. Some locations offer Members additional classes. Classes vary by location. ^ Tivity Health, Inc. and its affiliates do not employ, own or operate 3rd party service providers. Discounts vary per 3rd party provider. Services subject to terms and conditions of such 3rd party provider. Check with the provider for details. Always talk to your doctor before starting an exercise program. SilverSneakers and the SilverSneakers shoe logo type are registered trademarks of Tivity Health, Inc. © 2019 Tivity Health, Inc. All rights reserved.